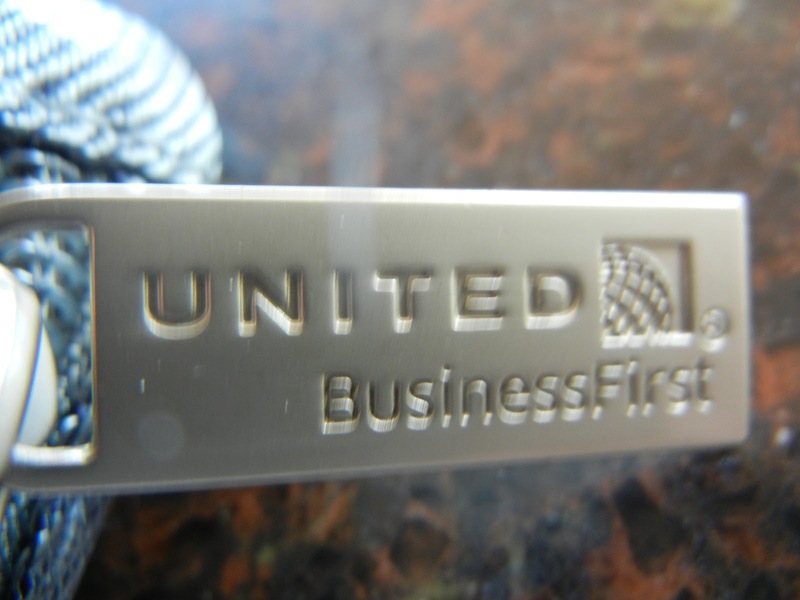 I flew United’s BusinessFirst product twice this year. As I said before, I think the use of miles and cash was a great benefit. After I found my seat, the Stew handed out champagne and the Amenity Kit. You’ll have to forgive me for the quality of these pictures — read about that here. The BusinessFirst Amenity Kit is made of a relatively sturdy canvas which means it can be used over and over again. There is an outside pocket and a big zipper down the middle. I only used the eye mask, as I find the airline socks to be much less comfortable that my own socks. The lotion was fine and wasn’t at all greasy (I tried this once I got home). Neither the lotion nor the lip balm had any real scent (a great bonus). 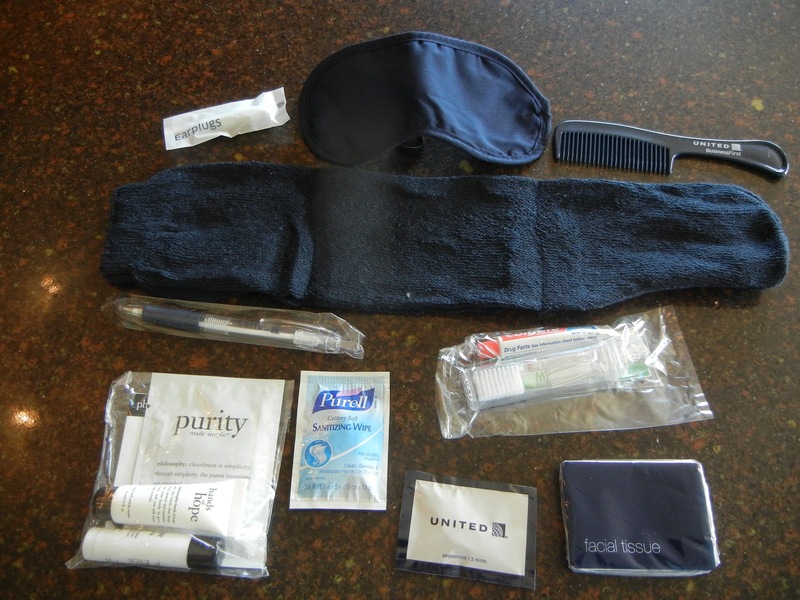 All in all, the Amenity Kit offered to United’s BusinessFirst passengers is perfectly acceptable. I won’t use most of the items in this kit, but I probably will reuse the canvas bag itself again. The bag also has a little fabric loop inside which allows you to hang it on a hook in the lav or in a hotel room. 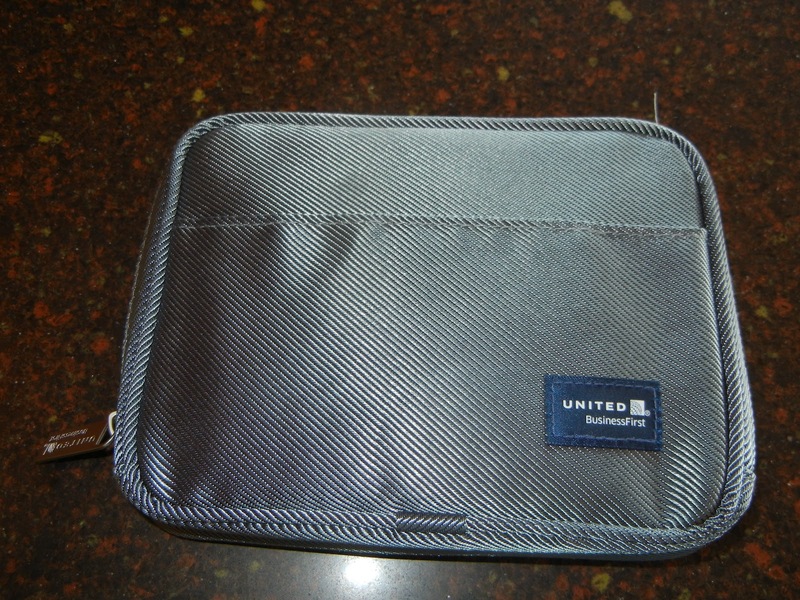 What is your favorite airline amenity kit? What makes a good kit in your eyes? What about a bad one? Do you ever use the socks from these kits? By Tim in Travel on October 15, 2012 .